British band Lawson still haven’t cracked the Australian market with their catalogue of incredibly good pop tunes, even though thousands of people got to see them perform live when they supported Robbie Williams on his Aussie tour last year. Their self-titled Australian album release (made up of previously-released material, their single ‘Roads’ and new songs ‘We Are Kings’, ‘Under The Sun’ and ‘Mountains’) came and went with barely a whimper later in the year. Though no mention has been made of this new track from their local label thus far, new music from the boys is always welcome. 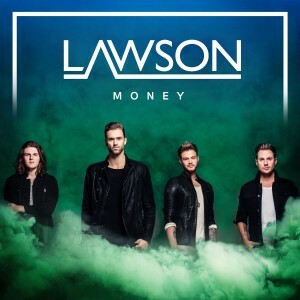 Like most of their previous material, ‘Money’ has quite the hook; primed for commercial radio play if only the stations would take a chance on something new. That’s unlikely to happen, however, as they play the safe route by only playlisting music that’s unlikely to turn their listeners off in between the ads (that make them… ‘Money’).